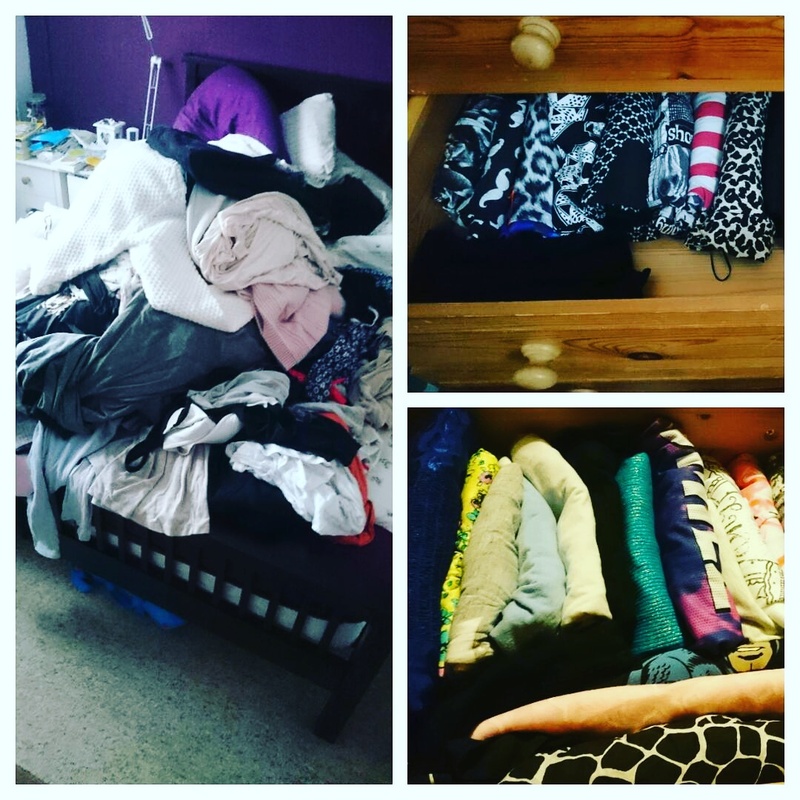 Confessions of a Single Parent Pessimist: Decluttering Marie Kondo Style! Spring is finally here and it's given me the urge to declutter and revamp our home. I've been reading The Life-Changing Magic of Tidying a very famous book by Marie Kondo about the art of decluttering and it's motivated me so much! 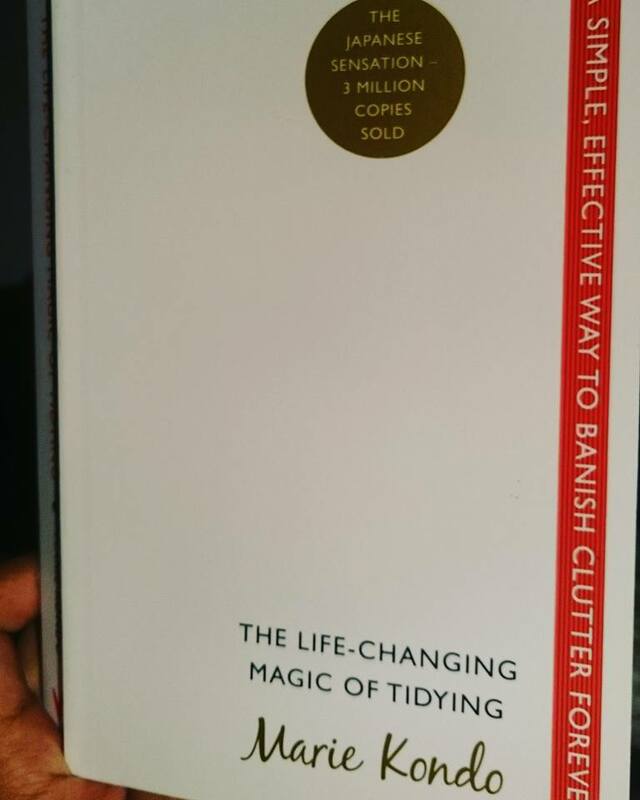 Some of the book is a bit odd, where you have to thank your clothes when you get rid of them, but psychologically there are reasons she asks you to do it and they've certainly helped me. I'm one of the biggest hoarders of things like clothes, books and DVDs so for me to have already donated about 10 bags of this stuff to charity is amazing. I'm debating doing a vlog to show what I've done and to give tips on how to fold things Kondo style so watch this space! Now my bedroom is starting to be less cluttered my next move is to freshen up the paint which has started to fade. I love the contrast between bold white and purple so am not changing the colour scheme, just freshening it up instead. Johnstone's have Deep Amethyst and Brilliant White in matt vinyl so I'm going to use those and thankfully their website contains a paint calculator so I could work out how much was needed rather than buying too much or not enough as I've done in the past. The joy that Marie Kondo has sparked in my life seems to be rubbing off slightly onto The Bloke who, much to my enjoyment, has now decided he needs to sort his house out. He's trying to declutter and he's even trying to sort the external parts of his house as I've noticed him researching something called "lead flashing". Apparently this is when you create a waterproof barrier between your cover flashing and tiles on your roof... I just nodded and smiled as usual and moved onto Kondo-ing my underwear drawer. Kondo is clearly a clever and talented lady to be able to get both my set-in-his-ways Bloke and lazy clutterer me to actively sort our homes out!